foot talk: A brief history of Congress Boots (Gaiters) and how they became an Australian icon. 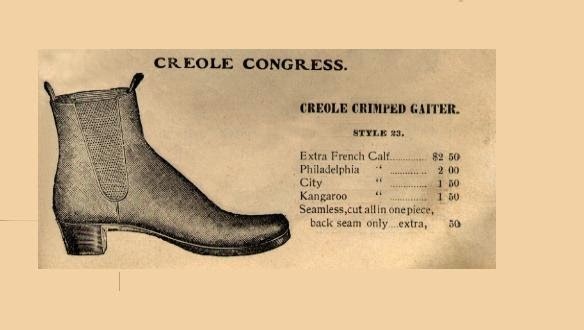 A brief history of Congress Boots (Gaiters) and how they became an Australian icon. The congress boot (or Congress Gaiter) was very popular in the 19th and early 20th century. These below ankle boots became available circa 1840, and were probably a version of the Balmoral boot, reputedly designed by Prince Albert, husband of Queen Victoria. Once the potential of elastic was realised new boot designs incorporated elastic gussets. The boot’s upper was made from soft kid leather and resembled modern wrestling boots. Some authorities reckoned them to be the most comfortable shoes ever designed. The elasticated sides provided both easy access and neat fit ably assisted by a cloth tab at the back of the heel of the boot. 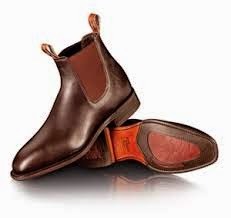 These were to prove so popular with politicians in the US, they were known as Congress boots or gaiters. 19th century sea captains bought them in bulk and kept them on board in the ship’s store. At that time many crew members were recruited or Shanghai’ed barefoot and were then sold a pair of sturdy boots once on deck with the cost deducted from their wages. By law once a sailor signed on board a vessel for a voyage, it was illegal for him to leave the ship before the voyage's end. The boots became coveted throughout the western world and were sometimes used as bribes to customs men by unscrupulous smugglers eager to have them turn a blind eye whilst illegal cargoes were being unloaded. Something else about the elasticated boot was it was to become an Australian icon. RM Williams, was in his early teens when left home in South Australia to work as a lime burner in the Mallee scrub of north-western Victoria. So keen was his sense of adventure aged 16 he signed on as a camel boy to an expedition charged with the immense task of surveying a huge tract of arid land from the Western Australian border to the north-south railway at Oodnadatta in South Australia. Later he worked at a number of the huge pastoral stations of central Australia and the Northern Territory. During this time the young Williams learnt bush lore from the aborigines of the region. 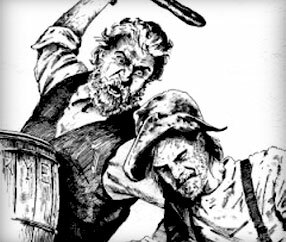 He was also influenced by the many bushmen and stockman he met. One particular fellow who left an impression was Dollar Mick. 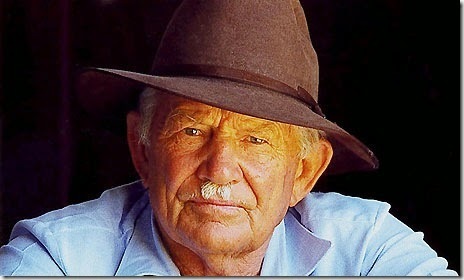 He was a gifted saddler and passed on many of his craft skills to the young Reg Williams. Between them they were able to produce a wearable pair of riding boots for the price of a dollar. During the Great Depression, whilst working as a well sinker, Reg began to make and sell his boots by mail order. Handcrafted, comfortable and made to last a lifetime, they were ideal for the harsh conditions of the Australian outback. From these humble beginnings has grown the world-wide company we know today. The secret of the boot was its simplicity, the upper and quarters of the riding boot were shaped from one piece of leather. 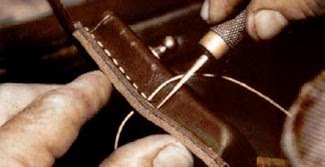 This meant only one seam at the back, which improved the boots, waterproof properties. The footwear was further strengthened by the absence of side seems. With no protruding seems to catch in the stirrups the boot ideal for horsemen. At first heels were handmade. Today a pair of RM Williams boots is made by teams of skilled craftsmen who take over a week to make each pair of boots using sixty eight hand-held processes, before they are finished, inspected and ready to leave the factory floor. A quality product from Australia. Labels: A brief history of Congress Boots (Gaiters) and how they became an Australian icon. Your blog is awesome. I am glad I came across it and read it! I am wondering what your thoughts are on orthotics and if you've have tried them?